Update from the veggie patch. I counted 18 onion sets growing well and 17 garlic bulbs at various states of growth. I think that the horses may have been able to reach one end of my row of garlic bulbs. 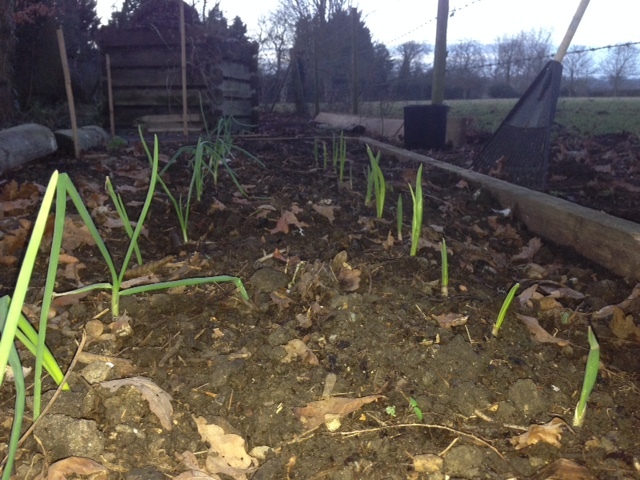 Edit: I have just been reading my blog back (18th October I planted a full row of 18 onions and only a part row of 18 garlic bulbs) so it appears only one garlic hasn’t made it to the 3 month stage.